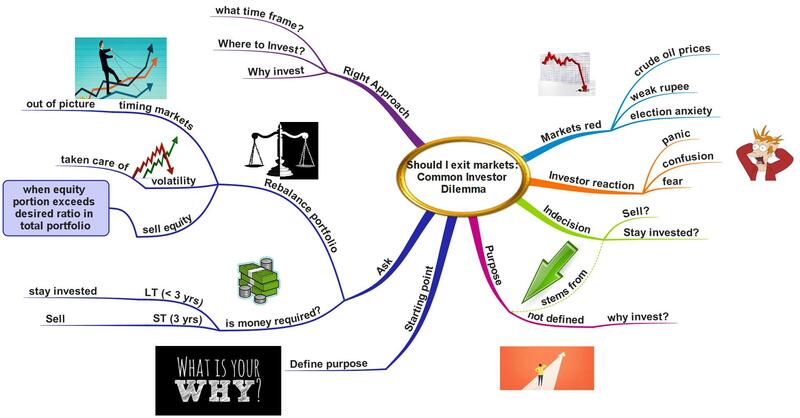 HomeInvestmentsThe Common Investor Dilemma – should I exit NOW as the markets turn? Rising crude oil prices, weak rupee, political uncertainty ahead of state and central elections, etc., all have spoilt the stock market party. But is there anything new in this? Markets have gone down earlier because of such macro-economic and geo-political factors. Yet, panic, anxiety, confusion – any emotion related to fear is common amongst investors. They always face the common dilemma of whether to sell or not. 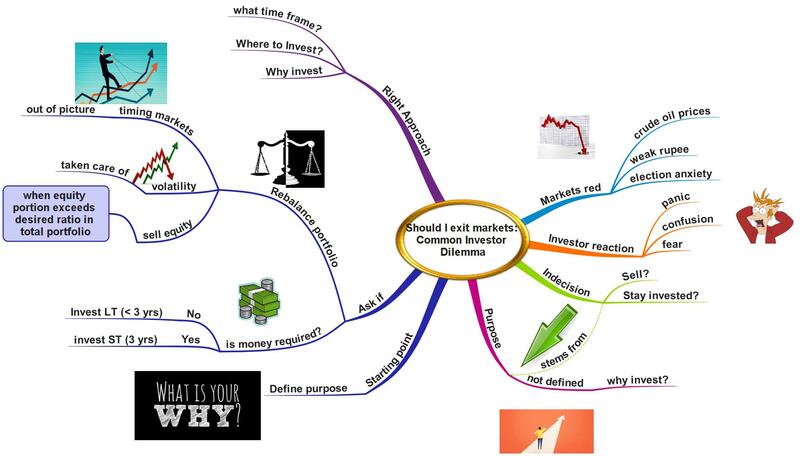 This indecisiveness amongst investors stems from the fact that they have not addressed the most fundamental question before investing – the ‘WHY’ question. The ‘WHY’ defines the purpose behind anything we do. In the world of investing too – it should be the starting point. When you address the question – ‘Why are you investing’?, the answer is easy to come by. It offers a perspective and helps to prioritise resources. So, if you are in a dilemma whether to sell in this falling market, ask yourself ‘why do you need the money? Let us assume a few scenarios here. 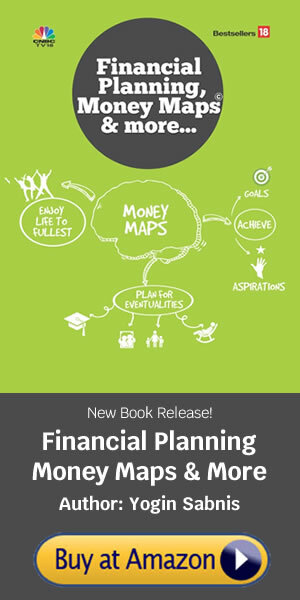 Although you may have not mapped your equity investment to your goals, you can take a rough call as to whether you need the money within or after 3 years. Scenario 1: Do you need the money in 3 years? If you feel you may require your investment back within 3 years to meet any short-term goals, then it is prudent to sell now. If the markets nosedive further or enter a long-term bear period, you may fall short of money when you require it. As the requirement time frame is within 3 years, it is prudent to redeem your equity investment and park in safer fixed income instruments. If your portfolio is huge in size, you can redeem partially in rough proportion to the money required. Scenario 2: Do you need the money after 3 years? If you are not in urgent need of the money for at least 3 years, stay invested and let it compound and grow for the long run. The current volatility in the stock markets will eventually ride out and should not bother you now. In fact, if you have surplus to invest, you should put additional amount every month to take advantage of the downfall and average out your investments rate. Your total investment portfolio has an equity portion and debt portion. The equity portion can comprise of investments in stocks and equity mutual funds. The debt component can have investments in fixed deposits, recurring deposits, NSC, PPF, EPF, etc. Ideally, your equity component should not exceed 60 per cent of the total portfolio, even if you are young and can take higher risks. In the context of present situation, suppose you find that your equity proportion in total portfolio had already crossed 65-70 per cent due to the rally and you did not book profits earlier. So, now you can liquidate a portion of your portfolio and bring down the equity component to 60 per cent again. This could also be an opportunity to clean up your portfolio which have got dud stocks or too many mutual funds with similar objective overlapping. Such rebalancing will help you to tide over the volatility in the markets and it needs to be done periodically. You can even consult an expert financial advisor who can guide you during periods of market volatility when panic and confusion is common. He can help you think rationally, provide a clear perspective and help you avoid taking wrong decisions. To conclude, when you address the fundamental question of ‘Why should you invest’, the rest of the things like where to invest, what time frame, etc automatically are taken care of. So, remember your ‘Why’ and you as an investor will never be faced with the dilemma of whether to sell in a falling market or buy in a rising market. Timing the markets is out of picture. As William O’ Neil quotes – Forget the adage buy low and sell high!